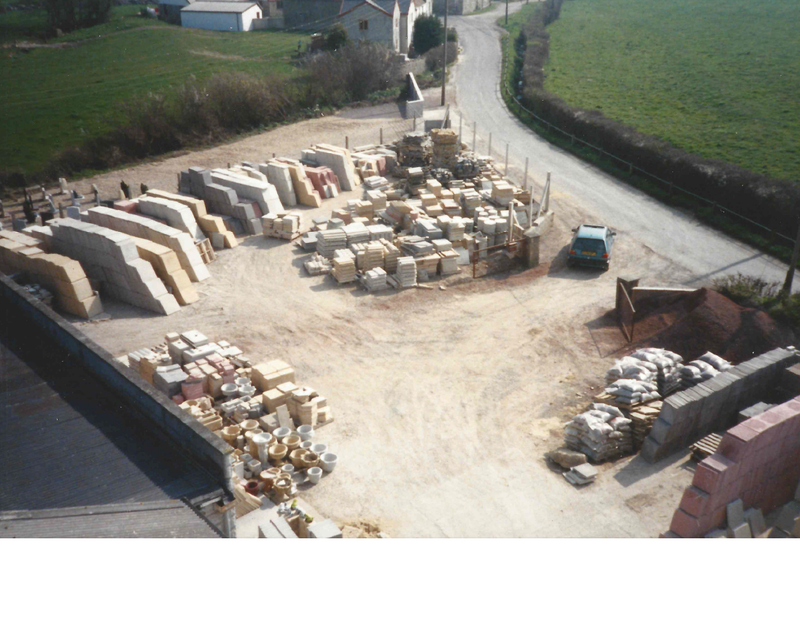 Photo taken from top of cement silo in the mid 1980’s which shows the stock of the ‘Westcrete Vibrated’ paving. Yard is stocked with products that have been made at Westcrete. The image below is boasting the Westcountry Paving range which is a pressed finish.